Bring a touch of New England charm to your bedroom with this elegant ottoman bed. Como has bags of classic appeal and lots of scope for personalising to suit your own taste with cushions and throws. 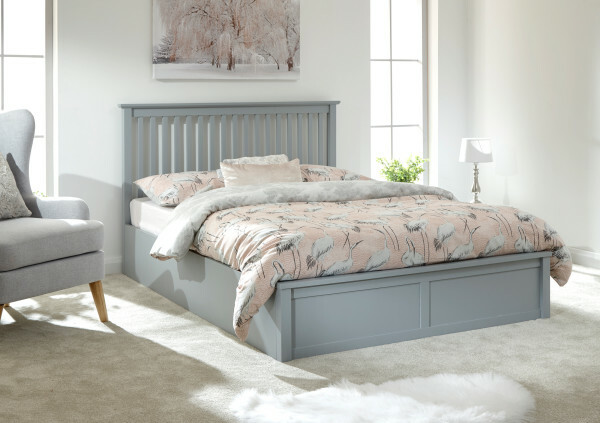 The panelled base and spindled headboard feature a soft paint finish in white or dove grey that’s a good fit for most colour schemes and helps to create a calm and soothing backdrop to a great night’s sleep. 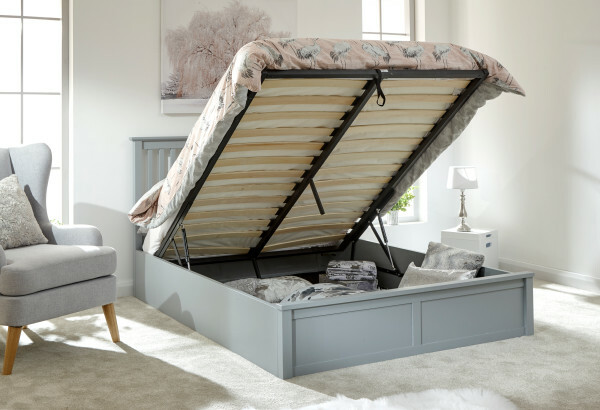 The mattress base lifts easily to expose a spacious storage are underneath – ideal for stashing away spare bedding and other seasonal items. Available in 90cm, 135cm and 150cm sizes. The Luxury Tufted Bonnell Spring & Memory Foam Mattress utilises a robust bonnell spring unit, a traditional spring system offering great support and stability. The coil spring unit is topped with durable fillings and a sumptuous layer of memory foam. The unique properties of memory foam allow it to respond to your body heat and mould to your individual shape. The medium firmness level and density of the foam provides great orthopaedic support and will offer optimum comfort while you sleep. This great value hypoallergenic mattress features a double jersey cover which is also tufted to hold the fillings in place. These mattresses come vacuum packed. 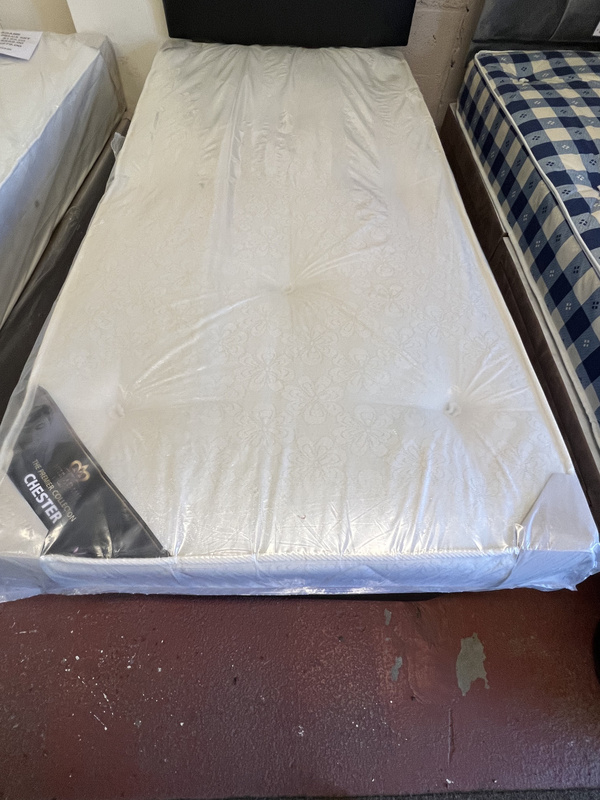 Please note: The mattress is suitable for use immediately, however please allow up to 48 hours for the mattress to regain its shape. All of our Memory Foam Mattresses comply with UK Fire Safety Regulations. All of our mattresses are approved by the National Bed Federation.